With having to give up bread I have found it challenging to eat satisfying meals. 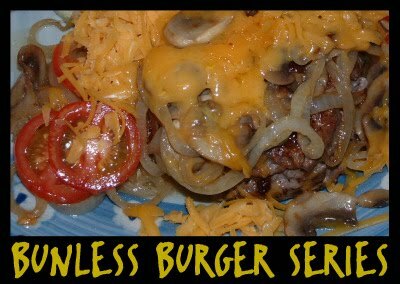 Years ago I started a Bunless Burger series, but never did much with it so I’m back to add to the selections with these Italian flavored cheeseburgers are layered with tons of satisfying flavors. 3/4 pound fingerlings or tri-colored potatoes, cut lengthwise into 1 inch wedges. Place an oven rack in the center of the oven, then preheat to 450°. Place the potato wedges on a sheet pan. Sprinkle with paprika, salt and pepper; toss to coat. Arrange potatoes in an even layer, skin side down. Roast 28 to 30 minutes, or until browned and tender when pierced with a fork. While the potatoes roast, in a medium pan, heat a drizzle of avocado oil on medium-high until hot. Add the diced onion; season with salt and pepper. Cook, stirring occasionally, 4 to 5 minutes, or until lightly browned and softened. Add the garlic; season again with salt and pepper. Cook, stirring frequently, 1 to 2 minutes, or until softened and fragrant. Add the vinegar and sugar, stirring occasionally, 1 to 2 minutes, or until well coated and most of the liquid has cooked off. Re-season with salt and pepper to taste. Transfer to a bowl and cover with aluminum foil to keep warm. While the onion cooks, in a medium bowl, combine the beef, Italian seasoning and a generous sprinkling of the salt and pepper. Gently mix to combine. DO NOT OVERWORK the meat. Using your hands, form the mixture into two 1/2-inch-thick patties; transfer to a plate. Heat 2 teaspoons of avocado oil on medium-high until hot. Add the patties and cook 4 to 5 minutes on the first side, or until browned. Evenly top with the sliced cheese. 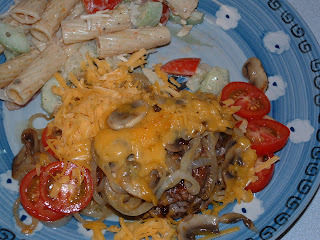 Loosely cover and cook 4 to 5 minutes, or until the cheese is melted and the patties are cooked to your desired degree of doneness. 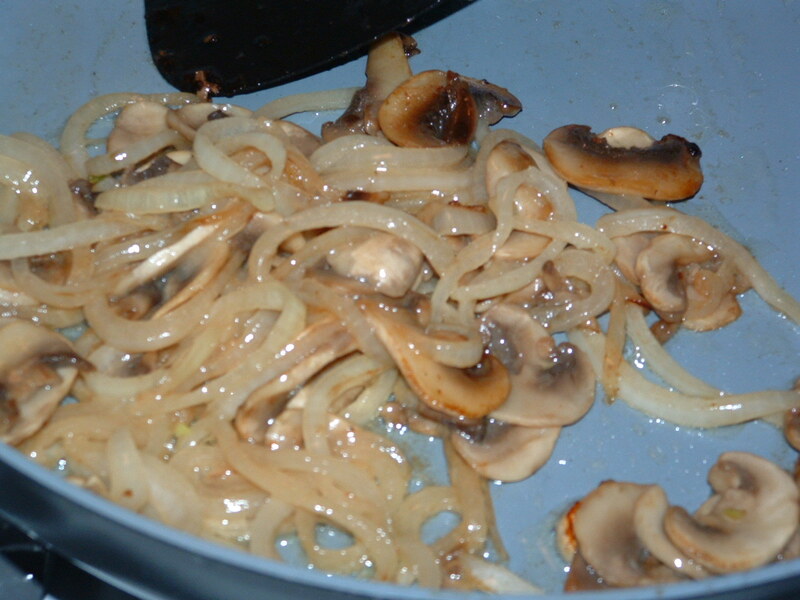 Leaving any browned bits of fond in the pan, transfer burgers to a plate. Loosely cover with the foil to keep warm. Add the buns (if using), cut side down, to the pan of reserved fond adding a drizzle of oil if the pan is too dry. Toast on medium-high 30 seconds to 1 minute, or until lightly browned. 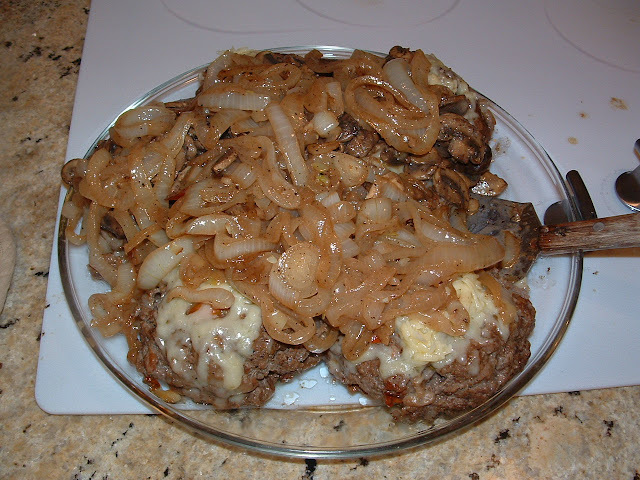 Transfer to a work surface and assemble the burgers using the toasted buns, cooked patties, and glazed onion (you may have extra onion). Serve the burgers with the roasted potatoes on the side. I originally posted this back in 2015 after a family reunion where these Peanut Butter Burgers were a HUGE hit. They really taste better than they sound. 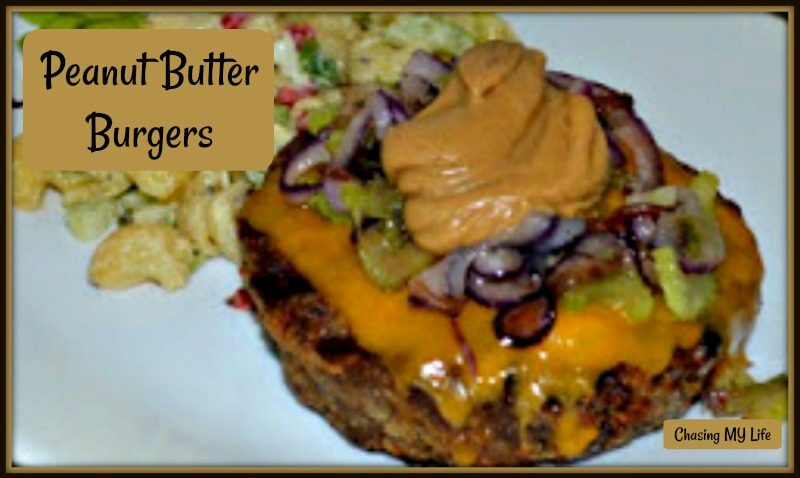 The peanut butter gives the burger a real nutty taste, and makes it a very juicy burger. And since I can no longer eat the bun, these are a perfect meal for me. Refrigerate patties for at least two hours. Chilling the patties helps hold their shape. Grill on the BBQ to desired doneness. NOTE: This recipe is very flexible. Almost any spice or seasoning works well with it. DO NOT add bread crumbs, the peanut butter and the chilling will hold them together just fine. I LOVE Guy Fieri’s Diners, Drive-Ins, and Dives and watch often for inspiration in my cooking. 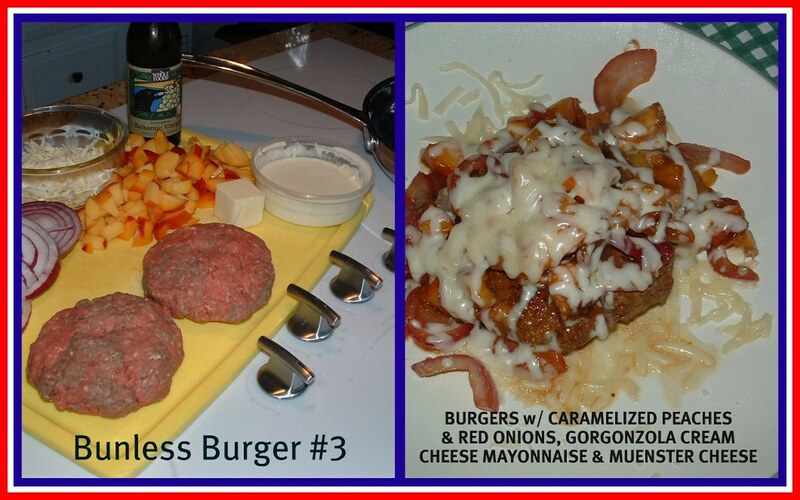 Only better is Guy’s Grocery Games (fondly called TRIPLE G) which is where I first heard of the JUCY LUCY BURGER. The Jucy Lucy burger was invented in a south Minneapolis bar sometime in the 1950s, and depending on who you talk to, that was either the 5-8 Club, who serve the Juicy Lucy, or Matt’s Bar, who make the Jucy Lucy. Matt’s Bar lets customers know that “if it’s spelled correctly, you’re at the wrong place”. The origins of the Juicy Lucy is still a hotly debated argument. But, what is NOT up for debate is that it is absolutely, cheese dripping fantabulous. 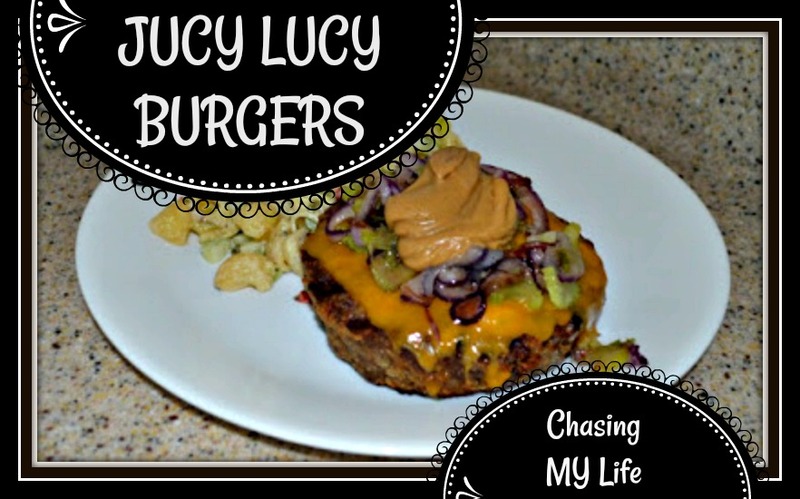 The basic Juicy Lucy is cheese stuffed in a raw burger patty and then cooked. That is truly a wonderful thing. But, you shouldn’t stop there. They are most fun if you customize the “stuffings” with cheese and other things you like. Make it your own by adding sauces, minced mushrooms, avocado, aromatics, carmelized onions, peanut butter… I usually make extra “stuffing” when serving them bunless and serve the remainder over top of the cooked burger. Mix together the meat, egg, salt, garlic, and pepper. Mix the cheeses, BBQ sauce and chili powder together. Take 4 of the patties and place a fourth of the cheese mixture in the center of each patty. Carefully place the remaining 4 patties on top of these. Pinch the seams together around all edges of the burger. Preheat a charcoal grill to 400f. Grill the burgers for 4 minutes. Flip the burgers and cook another 4 minutes or until the internal temp of the burgers is 165f. 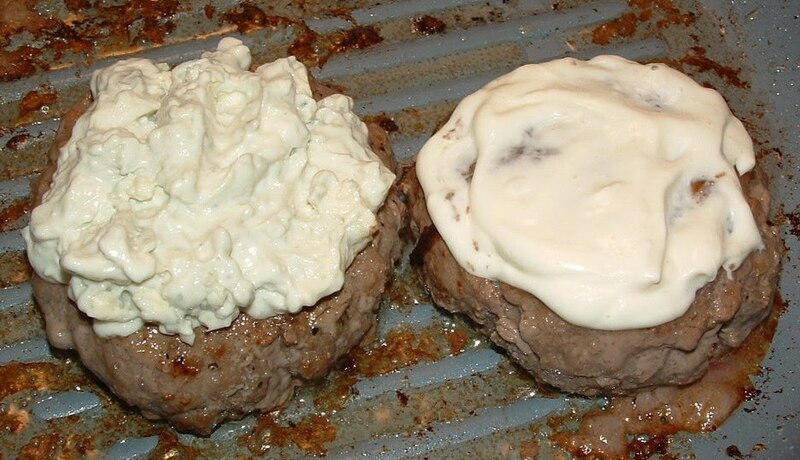 Let rest for 10 minutes (to let the cheesy center to cool off) and serve on buns. NOTE: You won’t need a lot of condiments…you already put them inside! We like burgers, but hate the bread on a regular basis so I often make a “knife and fork” burger with fun toppings and this is one of our favorites. Make sure you start the potatoes before grilling the burgers. 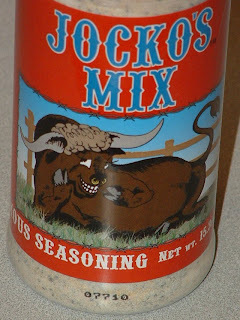 Combine ground chuck, jalapenos, green chiles, salt, pepper and Worcestershire sauce until well blended. Form into patties and refrigerate for several hours. Whisk together mayonnaise and minced jalapenos. Refrigerate until chilled. Sear and brown patties, turning frequently until cooked through. While cooking the patties, melt a small amount of butter in another pan and caramelize onions to desired doneness. 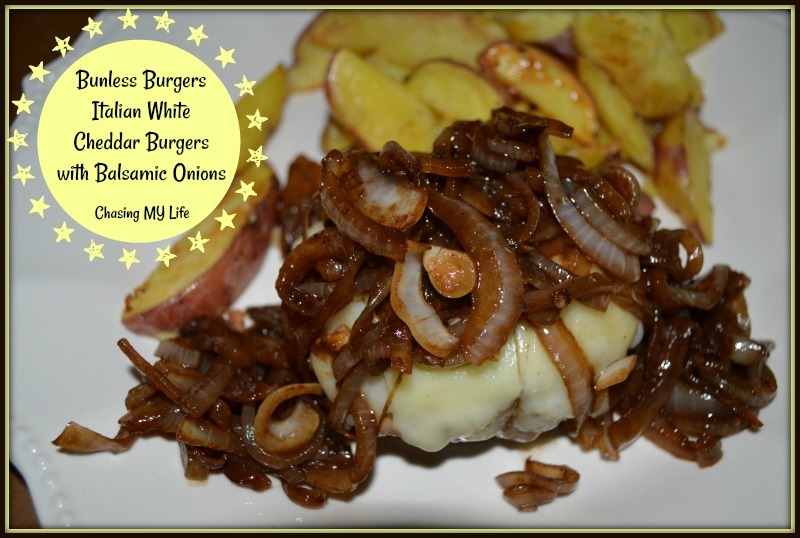 When burgers are done, top with cheese, mayonnaise and caramelized onions. Drain the potatoes until cool enough to handle. Spray a 9×9 shallow baking dish with PURE. Place potatoes on bottom in an even layer. Evenly sprinkle with salt, pepper and paprika to taste. Pour melted butter evenly over top. Bake 30 minutes until crunchy and bubbling. Layer 2 pieces of heavy duty foil on top of each other. Place the hamburger patty in the center. Top with 1 tablespoon butter. Spread BBQ sauce around the butter. Spread onions and carrots evenly around the meat. Fold the foil pieces up around the meat tightly. Turn it over seam side down and then seal the 2nd piece of foil. Turn them back over so they are meat side down. Bring grill to a medium heat, around 225°. Place foil packs on grill with lid shut for 10 minutes. Turn packets over for 10 more minutes. Serve in foil or slide out onto a plate. These couldn’t have been much simpler and were super tasty! Mix all ingredients together except cheese. 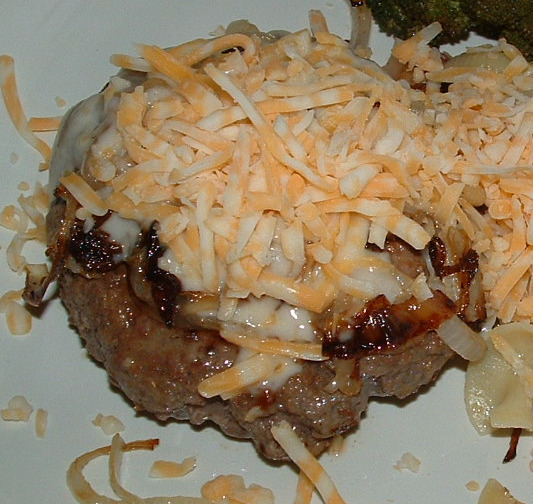 Top with provolone cheese and serve. Good Cast Iron really makes the best non-stick pan… and SMOTHERED CHOPPED STEAKS taste best made in that pan. Remember when I promised you this product review? Well, it’s time and I have the perfect recipe for you too! I love shopping online with CSN and you can too. It so easy and they have so many wonderful name brand products to choose from. Whether you are looking for cheap bedroom furniture, lights, TV stands, dining room furniture or cookware they have it all. They sent me these awesome Emerilware cast iron pans to review. After a good seasoning, these pans are awesome and produce super tasty recipes! My opinion? CSN carries the highest of quality items and these pans are the proof in the pudding so to speak. They are even heating and consistent. CSN really ROCKS! I can’t think of an easier way to shop with reliable shipping, awesome communication and plain nice, accommodating people to work with! Cast iron lasts nearly forever if you take care of it. 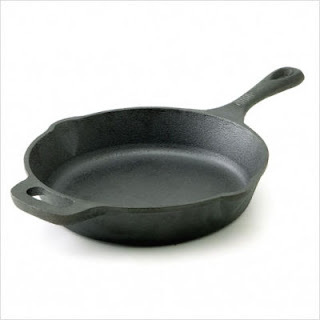 Seasoning cast iron cookware is necessary to ensure a non-stick surface and to prevent the pot or pan from rusting. If seasoned correctly your cookware can last a lifetime and more. Dry the cookware thoroughly, it helps to put the pan in the oven for a few minutes to make sure it’s really dry. Oil needs to be able to soak into the metal for a good seasoning and oil and water don’t mix. Place both the lid and the pot or pan upside down in your oven at 300F for at least an hour to bake on a “seasoning” that protects the pan from rust and provides a stick-resistant surface. For best results repeat steps three, four and five. 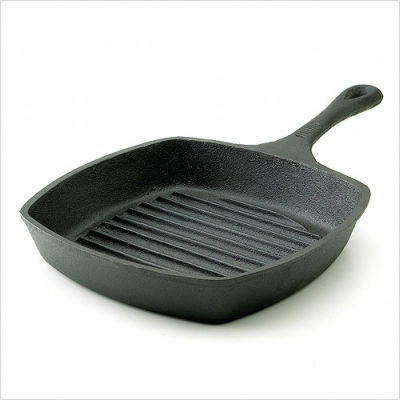 Ongoing care: Every time you wash your pan, you must season it. Place it on the stove and pour in about 3/4 tsp. corn oil or other cooking fat. 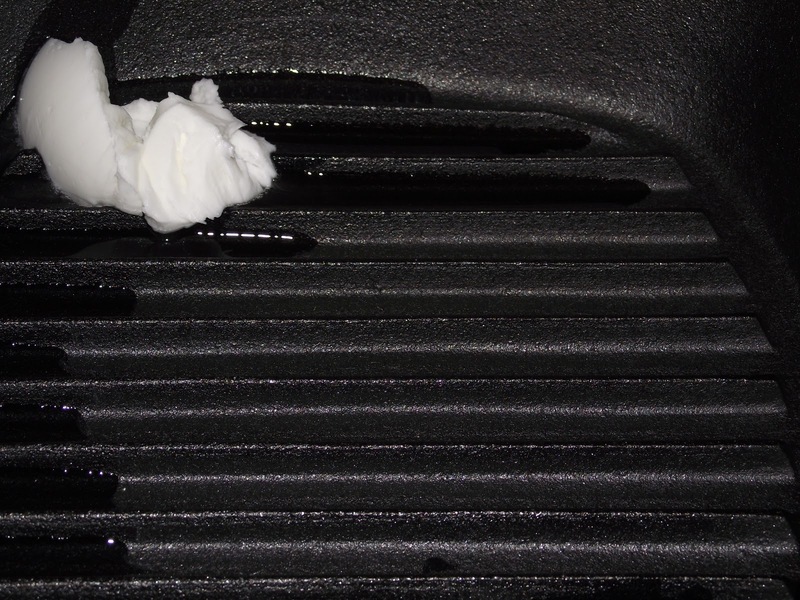 Wad up a paper towel and spread the oil across the cooking surface, any bare iron surfaces, and the bottom of the pan. Turn on the burner and heat until smoke starts to appear. Cover pan and turn heat off. 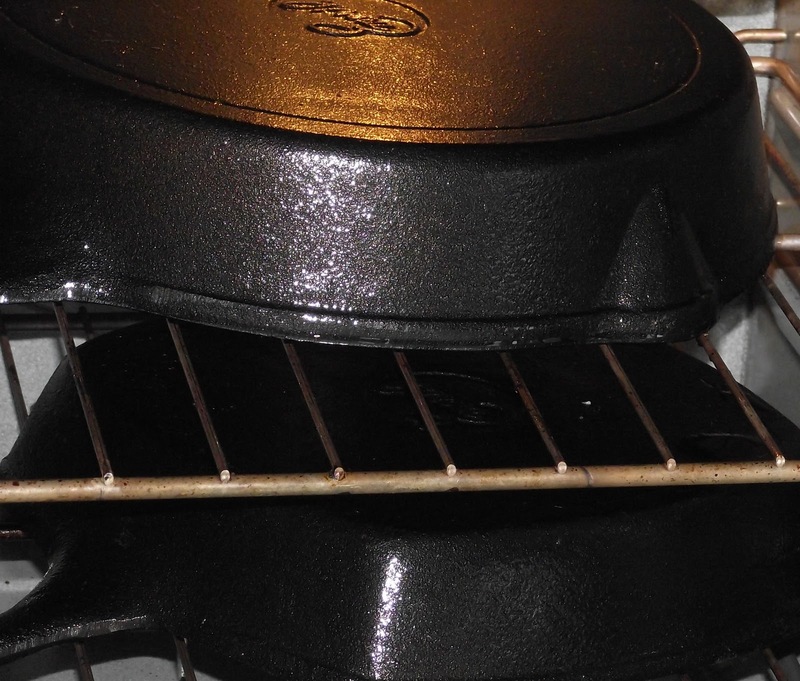 First, if you find your cast iron needs to be stripped down and re-seasoned do not fear. All you have to do is place the utensil in your Self Cleaning Oven on the shortest cleaning cycle (usually 3 hrs. on most models), and it will come out looking like the day it came out of the mold. Allow it to cool overnight. Wash the residue off with WATER ONLY in the sink using a stiff abrasive pad. Make certain NO DISH SOAP comes in contact with the utensil during this procedure. If it does you will have to start over!!! Dry the cast iron utensil off with a paper towel, and IMMEDIATELY place BACK in the oven at 350 degrees Fahrenheit for 10 minutes or so. Next, take the utensil out of the oven after the 10 minute drying time is complete, and lightly brush the utensil with a paper towel coated with Crisco or other solid cooking oil. Liquid vegetable oil will do in a pinch, but it’s better to save the liquids until AFTER your initial seasoning. It is important in this step only to lightly coat the cast iron with a light, thin coat of oil until it only glistens. Do not allow any puddles or pools of liquid as this will cause problems at a later time. Then, place the Cast Iron in the oven set to 500 to 550 degrees Fahrenheit with the COOKING SIDE FACING THE BOTTOM OF THE OVEN. This allows for any excess oil to drain off to the sides, and prevents pooling during the seasoning process. The higher heating temps allows for the oil to truly ‘cook’ as it should as opposed to just ‘gumming up’ at lower temps. Cook undisturbed for 1 hour. Please note: During the previous step it will be best to turn off any smoke alarms in the immediate area as it may smoke quite a lot. Ceiling fans also aid in ventilation. If food burns, just heat a little water in the pan, and scrape with a flat metal spatula. It may mean that re-seasoning is necessary. If you’re washing the cast iron too aggressively (for instance with a scouring pad), you will regularly scrub off the seasoning. Wash more gently or repeat oven-seasoning method regularly. If your pan develops a thick crust, you’re not washing it aggressively enough. Follow “crusty pan” instructions. 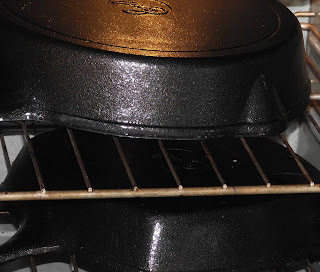 If storing your Cast Iron Dutch oven for any length of time, it is always best to place one or two paper towels in between the lid and the oven to allow for air flow. Also, after cleaning after each use it is always best to place it back in the oven on 350 degrees for 10 minutes or so to ensure all water has vaporized and left the surface of the cast iron. Do not cook tomatoes and other acidic foods in your cast iron cookware unless it has been well seasoned. Washing pans with detergent after they have been seasoned will break down the seasoning. Either wash without detergent (if you’re cooking similar foods with the pan, this is fine) or repeatedly oven-season your cookware. Combine all the hamburger steak ingredients until well mixed. Form six steaks. In a well seasoned cast iron grill, sear steaks on both sides. About 4-5 minutes each side should leave you with medium steaks. In a large skillet melt the butter. 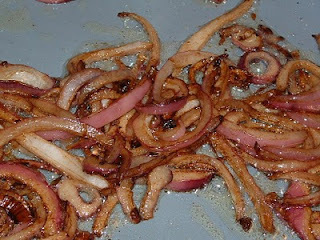 Saute the onions and garlic until fragrant and caramelized. 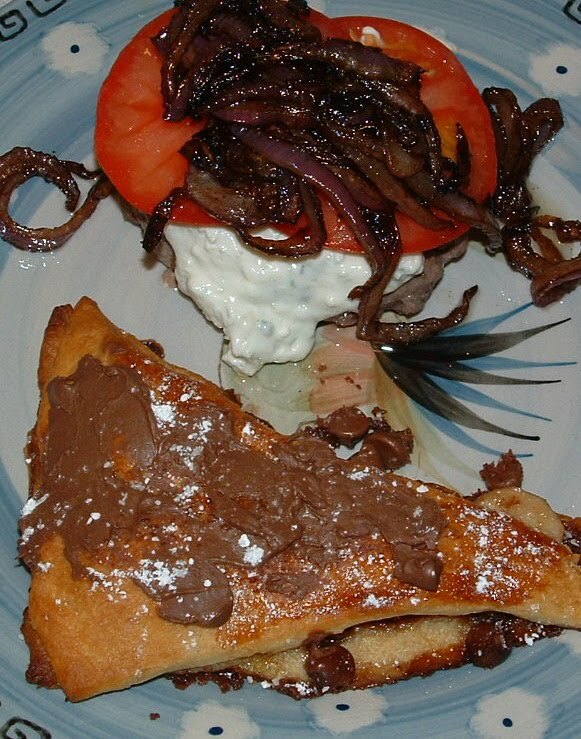 Top steaks with onions, tomatoes and cheese. In a small food processor blend together the cream cheese, mayonnaise and Gorgonzola cheese crumbles. Combine ground beef, liquid smoke, salt and pepper to the meat and hand form the patties. Grill burgers inside or out. In a large sauce pan melt butter. When sizzling add onions and saute’ until translucent. Add peaches and saute’ until juicy. Add balsamic vinegar and continue sauteing until moisture has sizzled away. Top with peaches, onions and then sprinkle with muenster cheese. I use the pan lid over the plate for a minute to melt the cheese. *I like to make my own ground beef when brisket is on sale. It makes for a richer tasting beef flavor! Thank you Tyler Florence! There used to be this awesome burger joint in Pasadena that gave you a piece of pie with every burger. After the burger and fries I never had room and always took my pie home with me. It was just never the same as eating it with the burger, so my new idea is to eat dinner and dessert together! Sounds reasonable to me. 🙂 I found this great new locally made meat seasoning at the grocery store today. In a small food processor blend together the cream cheese, mayonnaise and bleu cheese crumbles. 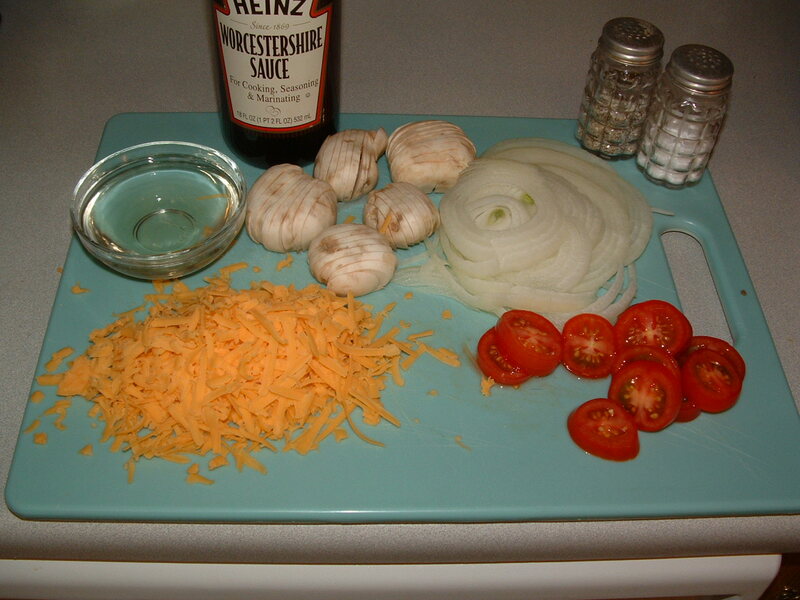 Top with tomato, onions and then cheese. 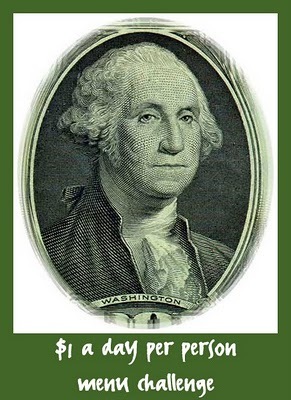 Over at THE Motivation Station I’m going to be doing a series of posts about eating on $1 a day per person. Trust me it can be done. One of the awesome things though is that it can be done and make you feel like you’re eating like a gourmet while doing it. 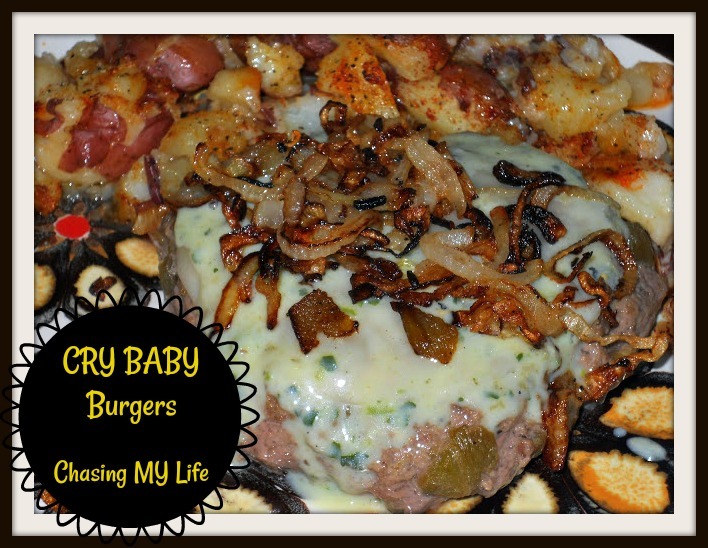 This is my first recipe in the BUNLESS BURGER SERIES. Bread in general is expensive and can be timely to make. It also doesn’t help on my diet so thought I would try going “bunless” and we are soooooooooooooooo glad we did. With planning to eat the burger with a knife and fork I was able to add so many more ingredients that would have otherwise made the bun mushy and slippery. I hope you enjoy this as much as we did. So simple, but oh so yummy too. Grill burgers inside or out. I add just a touch of Worcestershire sauce, salt and pepper to the meat and hand form the patties. Add mushrooms and saute until tender. Add wine and continue sauteing until moisture has sizzled away. Add tomatoes until heated through. 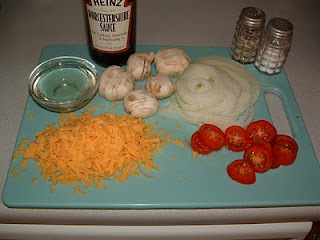 Top with onion mixture and then cheese. I use the pan lid over the plate for a minute to melt the cheese.